It’s amazing what you can find when you have no money and your searching for a cheaper alternative. As we know all to well make-up can cost a fortune, and on top of that I have always found that finding the right eye shadow is an impossiable task. Mac is brilliant if you’re a make-up artist but for the ordinary everyday make-up wearing women it can be disappointing. There is always a lot of residue that drops from your eye’s and its hard to get it to set, and I honestly believe that very few people have time to spend getting eye shadow to set before they get on with the rest of their day. About a year ago I was introduced to ‘Chanel Cream Eyeshadow’ or its official name ‘ILLUSION D`OMBRE Long Wear Luminous Eyeshadow’, and it is brilliant in many ways- Longwearing and amazingly easy to apply. It comes with a small applicator brush, but as you may have read already I love my ‘Body Shop’ brushes and they make it much easier to apply than the tiny brush provided. Of Course there is always a BUT and this is a big BUT, it’s priced at £24 and dry’s out and crumbles after about 3 weeks of use. So with limited pennies in my bag, I went to look for a new, different and to be honest cheaper alternative. Searching my way around the mind field that is ‘Boots’ I stopped at the door of Maybelline. 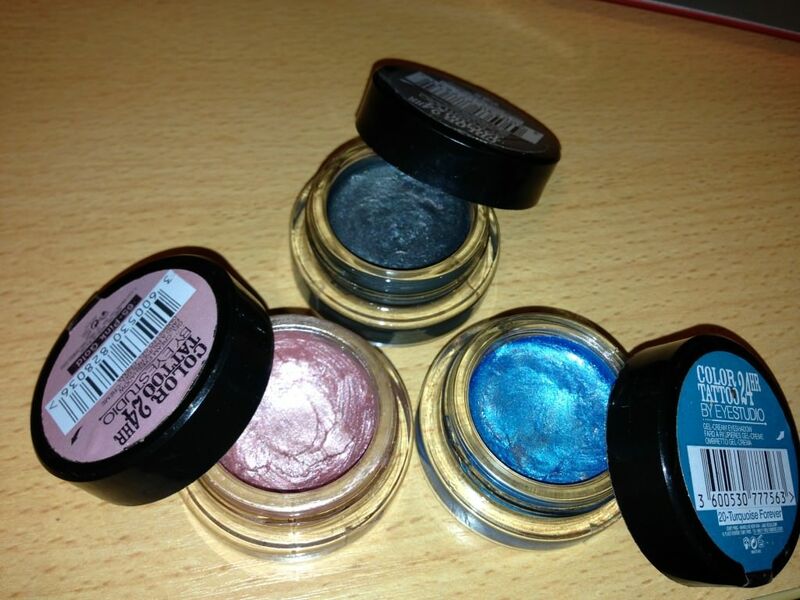 On offer was an amazing selection of what they have named ‘Colour Tattoo 24-Hour Cream Eyeshadow. Priced at £4.99 “How could I refuse?” I could buy three for less than the price of a Chanel eyeshadow. I am a big believe in buying quality rather than quantity and always normally do, but considering the ‘Chanel’ eyeshadow was drying out so quickly and my lack of budget I jump straight in and brought three colours. “Turquoise Forever’, ‘Pink Gold’ and ‘Immortal Charcoal’. Its slightly creamier than the ‘Chanel’ eyeshadow and you have to wait a little longer for it to dry before you blend, but its honestly brilliant. It last for hours the colours are bright bold and really rather good. 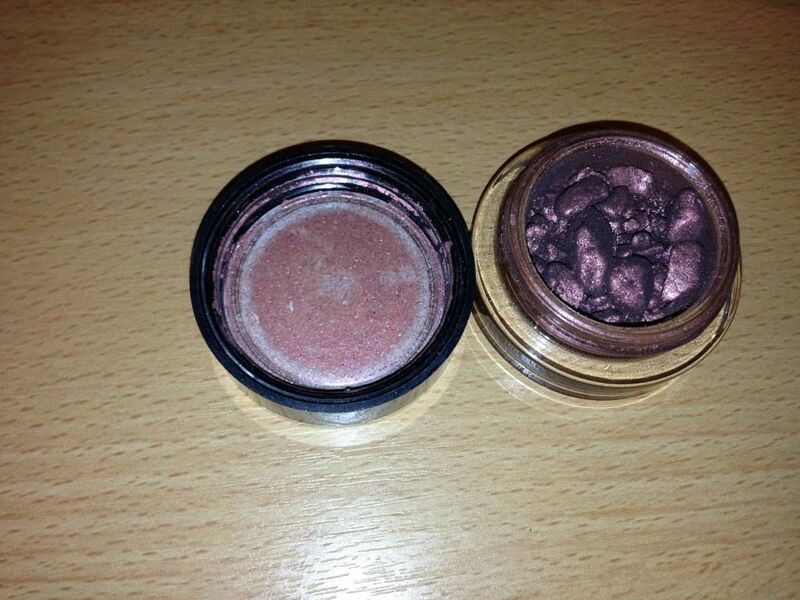 The Maybelline ‘Colour Tattoo 24-hour cream Eyeshadow gets a definite seal of approval from us here at ‘Fashion Forensics’. It’s affordable, as good as the big brand names and so far one month in it has still retained its texture rather than drying out.